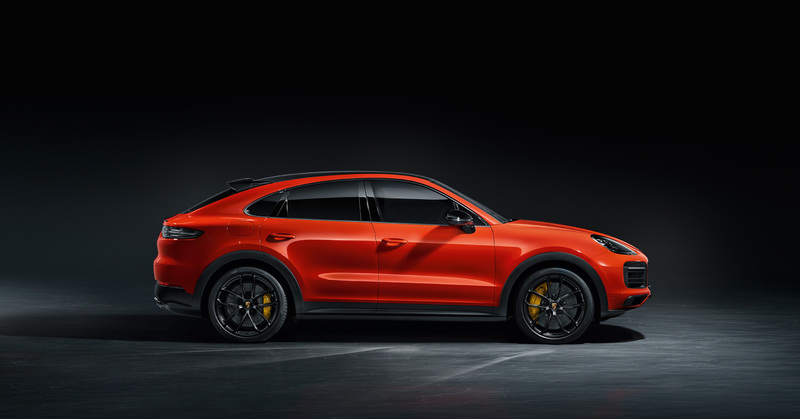 Porsche is adding a new Coupe body style to their full sized Cayenne model lineup. The highlights of the new model include sharper lines with a redesigned rear section, an adaptive rear spoiler, individual rear seats, and either a panoramic fixed glass roof fitted as standard, or an optional carbon fiber roof. 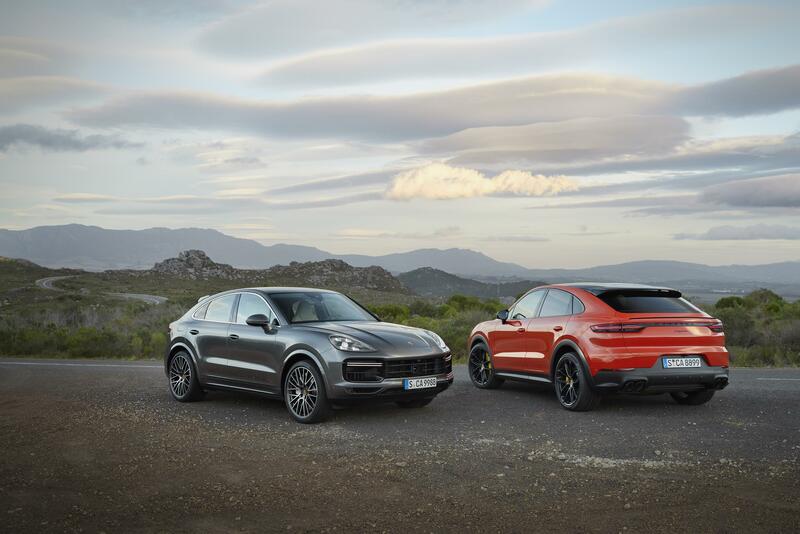 The more athletic appearance is immediately obvious as Porsche mimics the lithe look of the red hot selling Macan. Who can blame them. 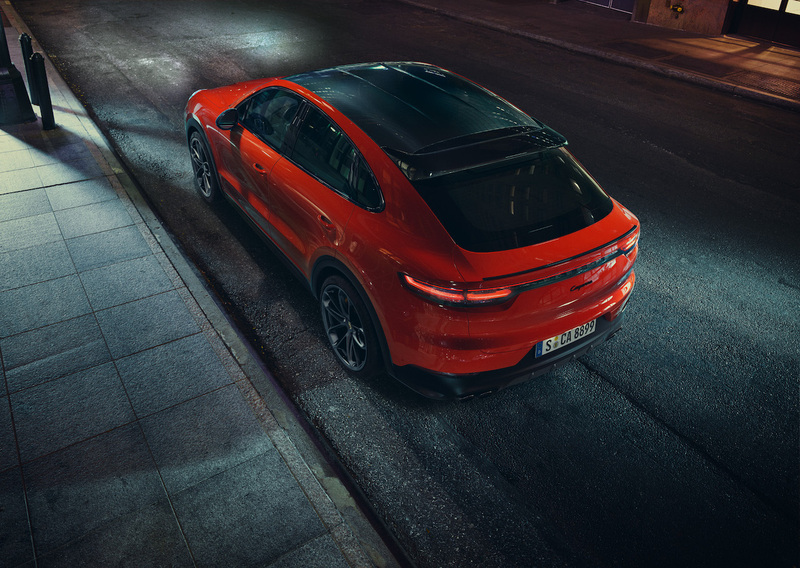 The Macan is the thinking man’s sports car and does just about everything you want it to do. 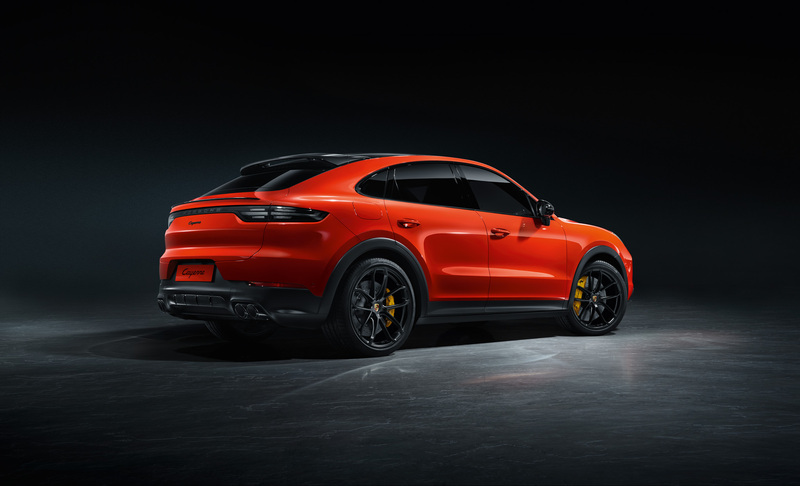 Sharp eyes will notice a “…significantly more steep roof line that falls away to the rear makes the Cayenne Coupe appear even more dynamic, and positions it as the sportiest-looking model in the segment,” says Michael Mauer, Vice President Style Porsche. 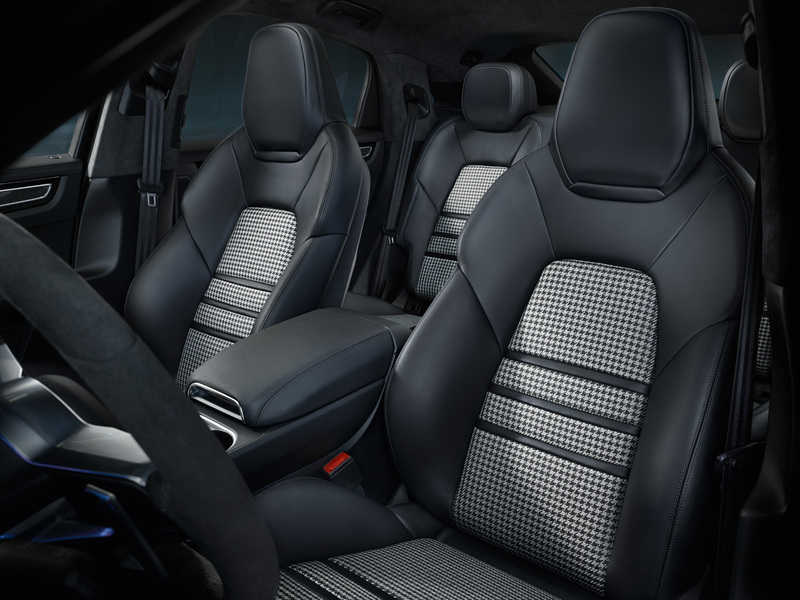 New for the Cayenne Coupe models, eight-way Sport Seats are standard equipment in the front. The new seats, which are similar to the 18-way Adaptive Sport Seats that are standard equipment in the Turbo model, offer generous lateral support and feature an integrated headrest. In the rear, the Coupe comes fitted as standard with a rear bench that has the characteristics of individual seats. Alternatively, the comfort rear seats – a familiar feature of the Cayenne – are available as a no-cost option. Rear passengers sit 1.18 inches lower than in the Cayenne, meaning there is plenty of headroom despite the vehicle’s sporty lowered silhouette. It’s big in the trunk with 22 cubic feet and rises to 54.3 cubic feet with the rear seats folded.